Well, this week started out like last year.....where did it go???? Welcome little Madelyn Rose to the world...here she is...24 hours old...isn't she gorgeous? never in my wildest dreams did I think I'd every own one but I saved and saved and saved and here she is, my sweety. 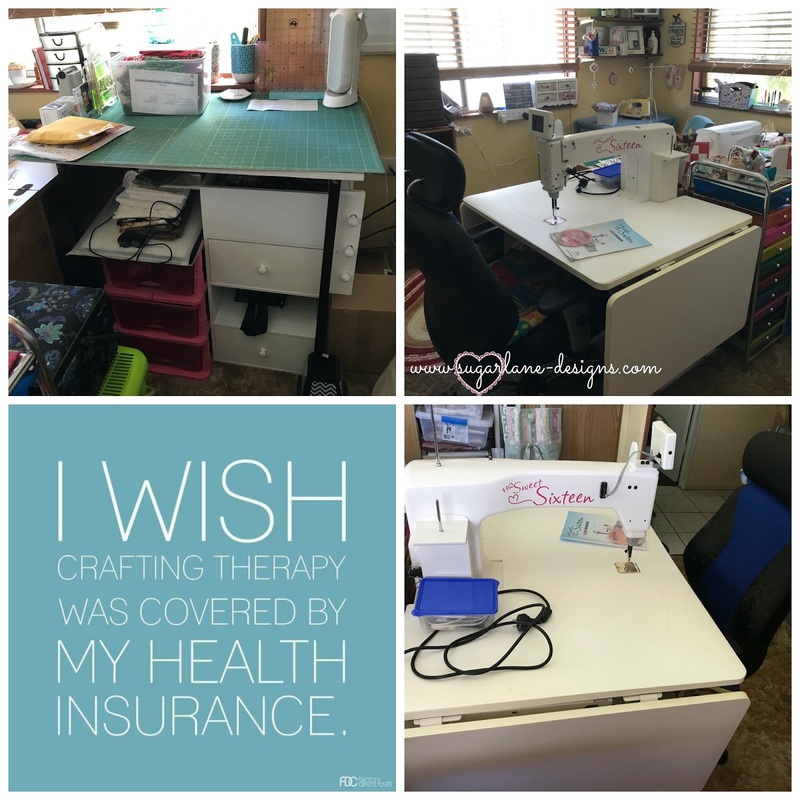 I added table risers to the legs of my cutting table so I could fit my shelves underneath and now it's at a more user-friendly height so that made me even more happy! As you can tell though, I haven't had a chance to try her out but as Monday IS a public holiday, I might just have to give her a spin! I chose fabrics for my 'Bloom Sew a Long" with Cheryll . 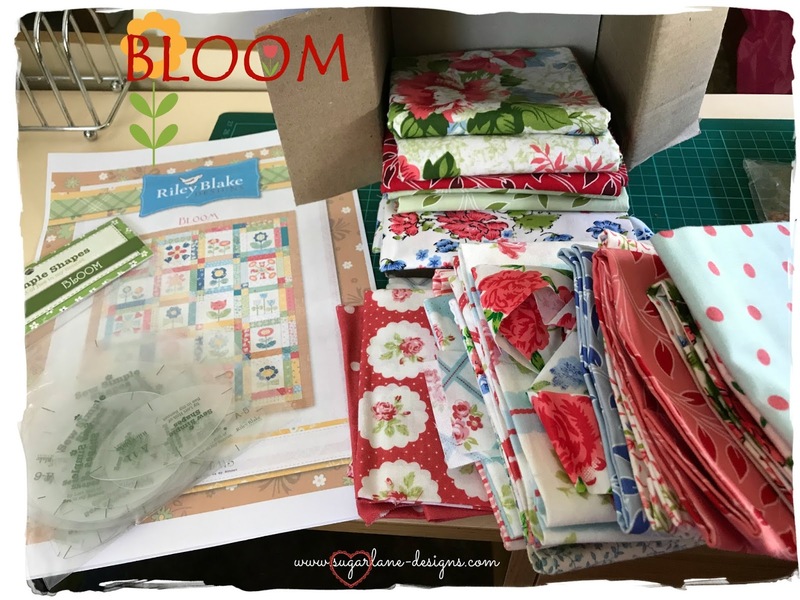 We're following Lori Holt's original sew a long plan from 2016.....it's never too late and keeping true to form, I've picked my fabrics and got my templates but I haven't started yet (I WAS distracted a bit!) . 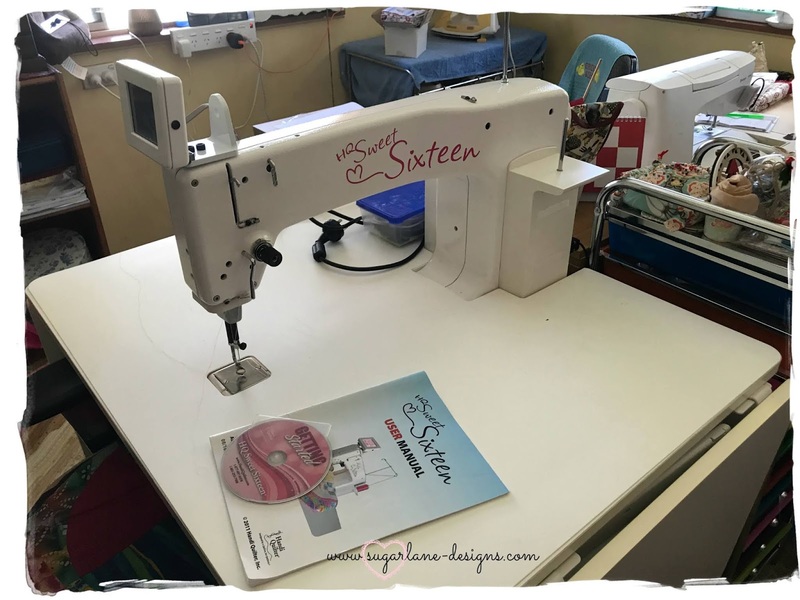 Then we'll link up on Cheryll's blog the second and third Saturdays of the month sharing our progress. I'll do catch up over the weekend! I did get a little hand stitching done though. I finished off the embroidery on this block, now to add the pieced blocks and then I'm up to the last one....getting close to finished. Now to the important part....our winners! We had lots of fun with our Friday Night Virtual Stitchers and lots of 'work' was done. You can see it all HERE. Congratulations to all you wonderful ladies....thanks for joining in this month and beginning this year off with a bang! Send me your postal details and I'll get a little something off to you pronto. 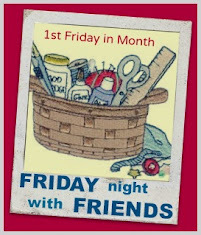 Remember, lock the third Friday night of each month in for your FNSI fix. You never know when your name will be drawn as a winner. 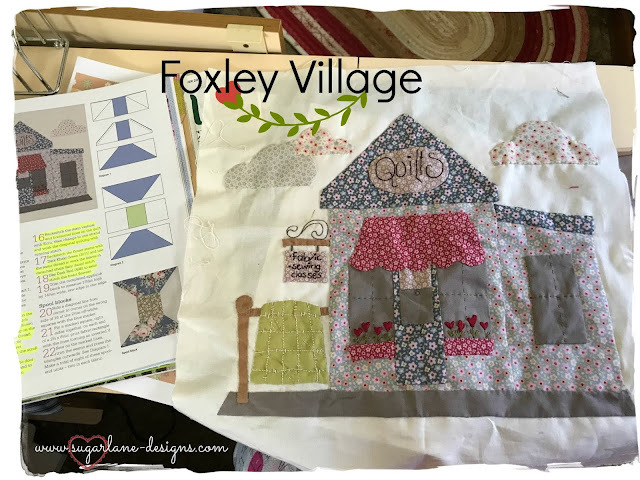 Regardless, we're all winners as we have so much fun stitching virtually with so many wonderful stitchers from around the globe...and we get more of our projects done! Winner, winner! 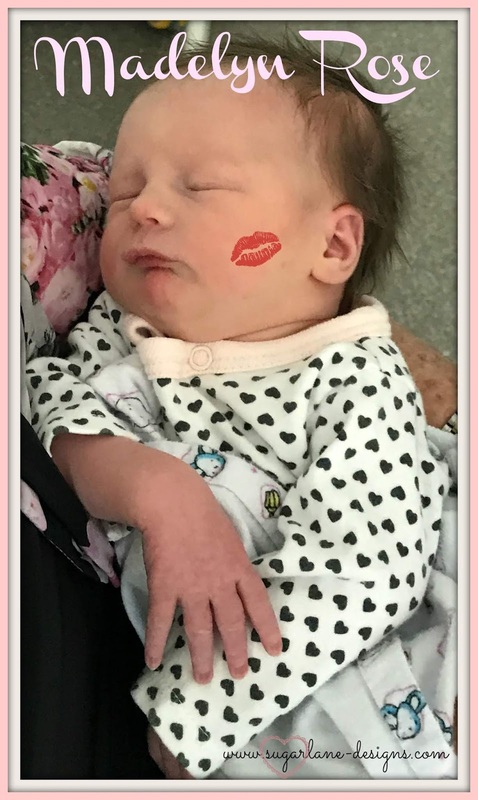 congrats to your winners - what a sweet baby! you must be so excited - and what about that sweet machine - if I ever get something like that that is the kind I have thought about - one of my readers has one so I have been seeing hers for a couple years now. She loves her machine. Oh WOW I was the lucky Nov winner. 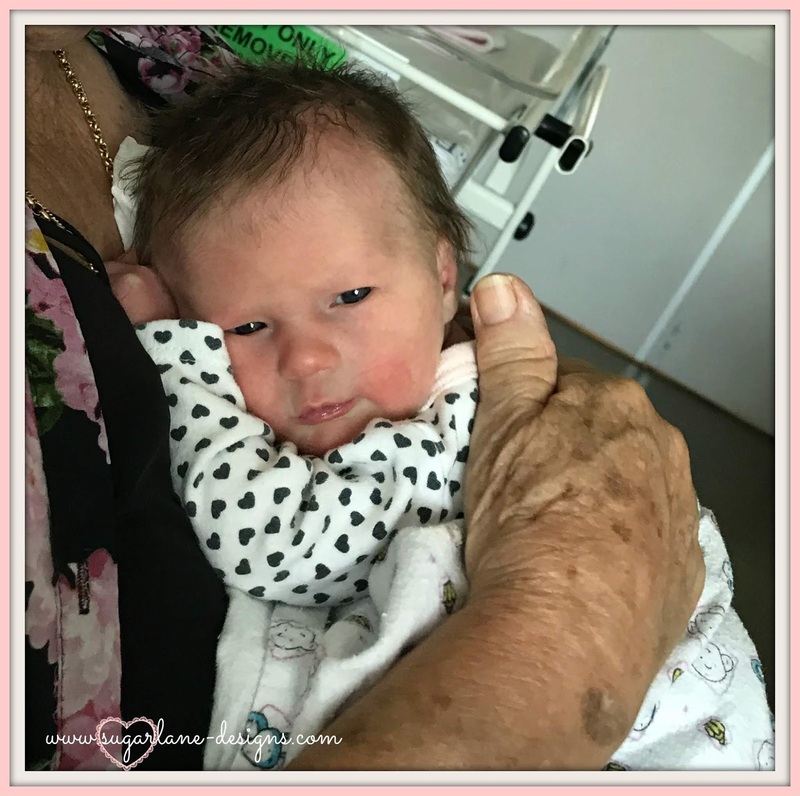 It is all go around your place....a new bub to cuddle, playing nurse and a new toy. Enjoy using. Welcome little Lady! You Look sooooo cute!!! Abd congratulations, Wendy! A sweet16 is soooo great! A friend of mine has one. Fantastic! And thank you for drawing me! Now you have to send something around the world. It's the 2nd time this year, I win something. *gg* A good Start and omen for the year?! Your new toy....I'm a teensy bit envious! Your fabric is yummy too byt the way. Your little Madelyne Rose is adorable!I'm waiting for the arrival for my first grandbaby in May. He's to be named Brodhi Charles - the Charles is my hubby's middle name so a nod to him. I'm so happy to see you're joining us in the Bloomers SAL! It's been really fun so far, hope to keep up. You might be a slow started but sadly I'm a VERY slow finisher! Lol! Congratulations to all the FNSI winners. You're right, Wendy, we're all winners because we get to have a dedicated evening once/month to sew with virtual friends! Thank you!!!! So much yummy stuff going on for you. Congratulations !!! Maye this is your "facebook baby"? And i love your new toy!! Congratulations on both of your sweethearts. Fun to come. Share the place to purchase these patterns? Cancel that, I found it. Thanks anyway.